After what seems like forever but was only actually a few weeks, we're coming back! We couldn't be more excited to be popping up not once but twice this month for all your holiday needs. 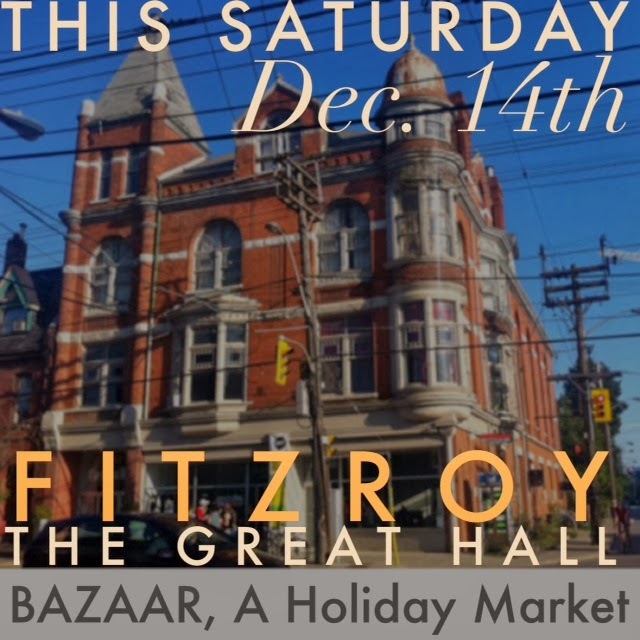 Firstly as you may have heard, we will be taking part in the BAZAAR BAZAAR BAZAAR HOLIDAY MARKET inside THE GREAT HALL this Saturday December 14th! Curated by Art Reach Toronto and Miracle Thieves, the market will bring together some very talented local artists selling their hand-made goods, so you can shop-local and feel good about your gifting! 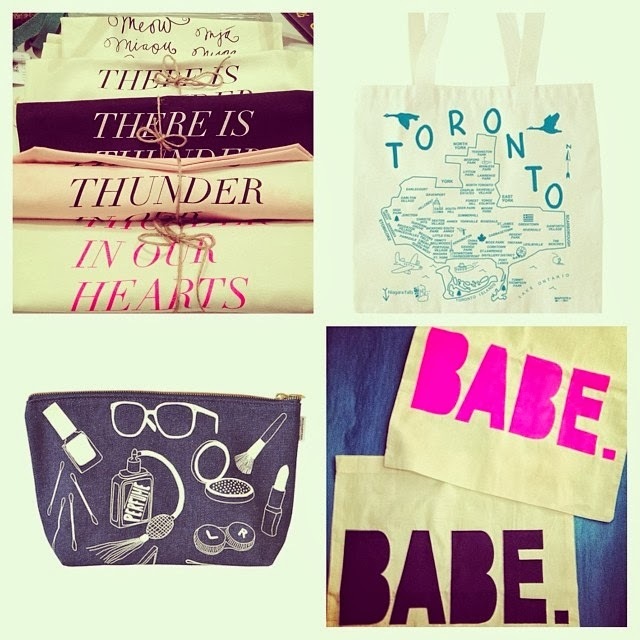 We will be bringing along a big batch of your favourite Toronto-made Fieldguided and Lilly Lab tote bags, screen-printed make-up bags and pouches from Maptote, and jewellery from Shop For Jayu and Jenny Bird among others! 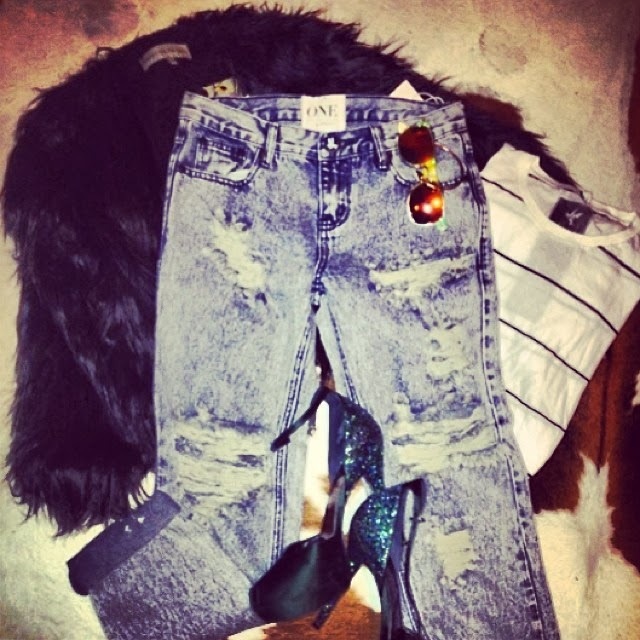 We will also be bringing an assortment of Fitzroy's new arrivals, including 2 new styles of One Teaspoon's infamous boyfriend jeans (get first dibs before they hit the online store next week! ), as well as some totally gift-able new t-shirts and cozy knits! Join the Facebook Event here for more info, or simply make your way to The Great Hall at the corner of Queen Street West and Dovercourt this Saturday December 14th between 10 and 6! We can't wait to see you! As for the secret location of our next pop-up, you'll just have to stay tuned!